14.01.14. 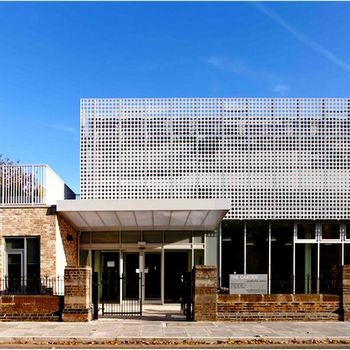 The Garden School Hackney has been awarded an RIBA London Award. This is hard work, finely resolved: a Special Educational Needs school for children from 4-16 at the extreme end of the autistic spectrum, but on a difficult urban site. This building is secure without showing it, in a school where young and secondary age pupils share facilities. ‘A wonderful and uplifting place that is clearly enjoyed by staff and pupils alike’ said the judges.